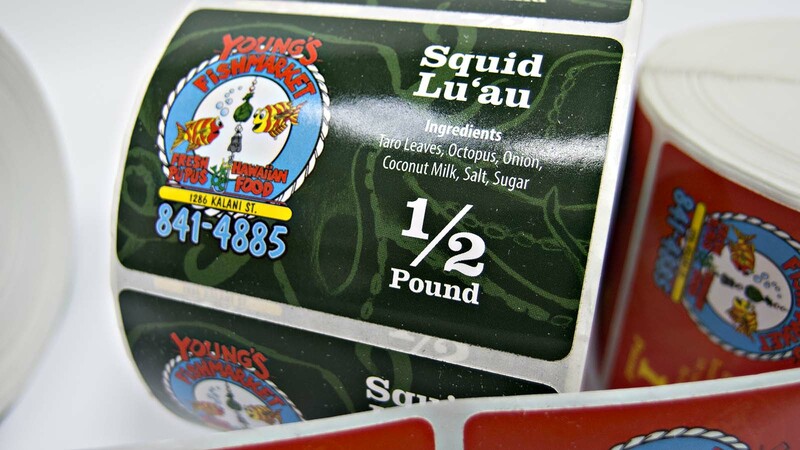 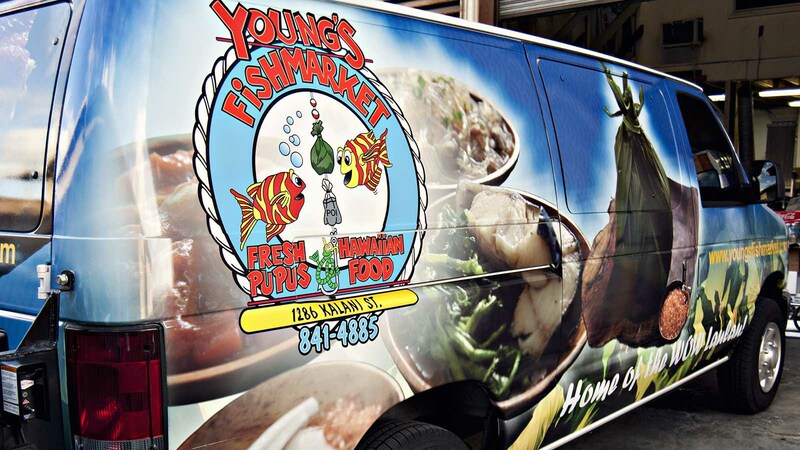 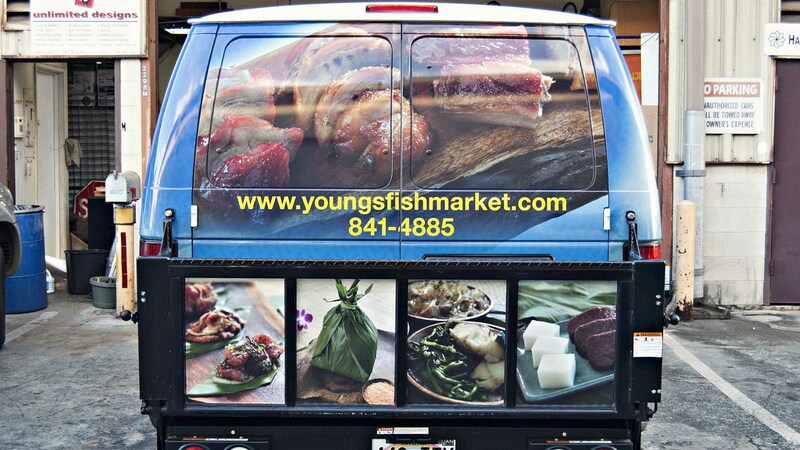 We’ve had the pleasure of working with the folks at Young’s Fish Market on many different projects, and the scope of our work with them shows the range of our services. 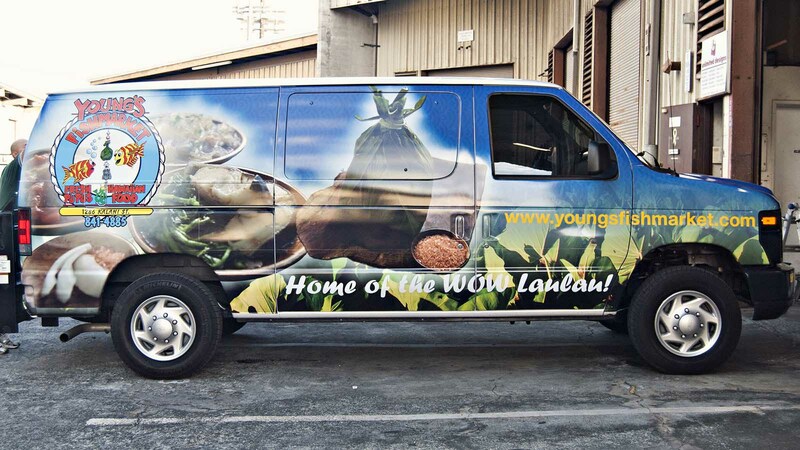 We created, printed, and installed the graphics for their delivery van. 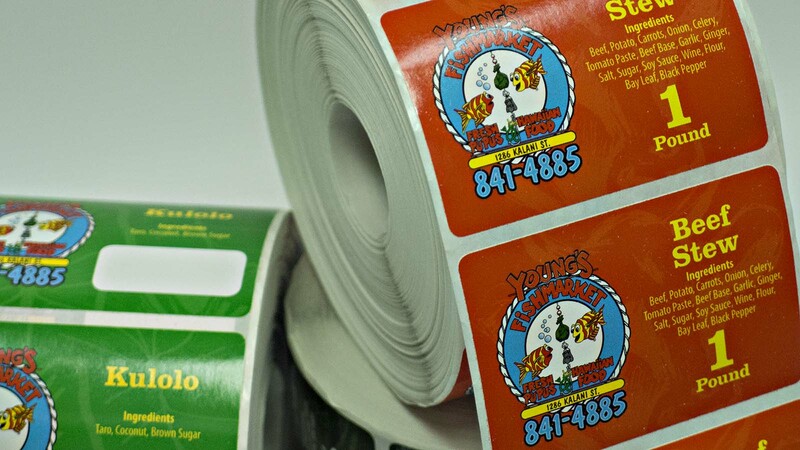 We also designed and produced their food labels, envelopes, business cards, and gift certificates. 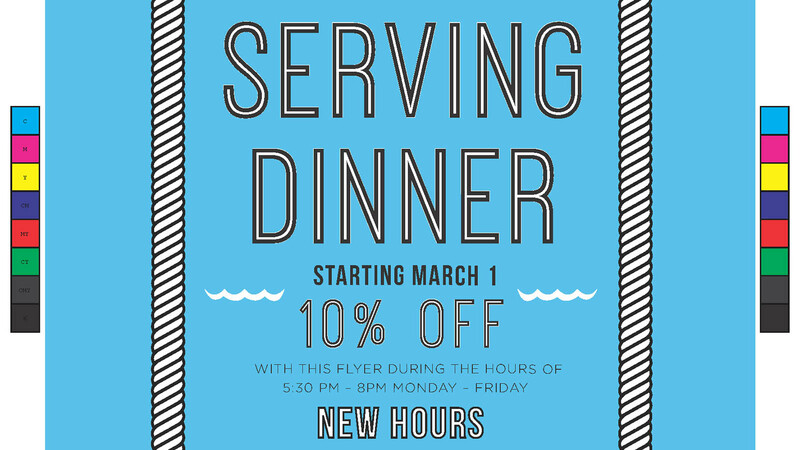 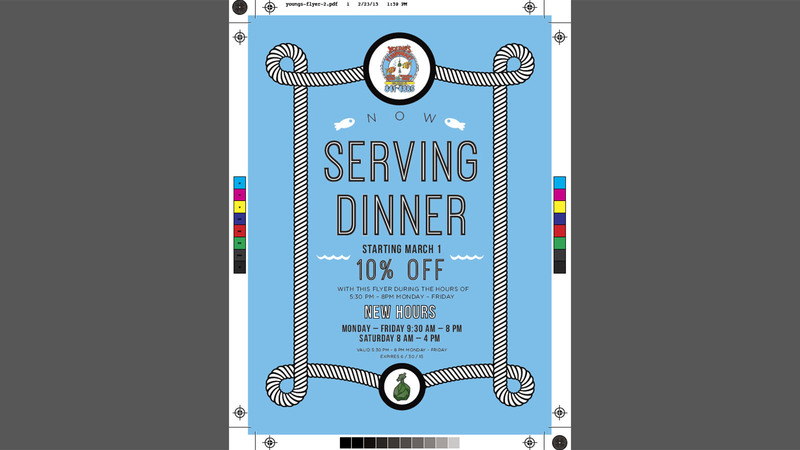 We’ve also created and printed signs and flyers for the restaurant. 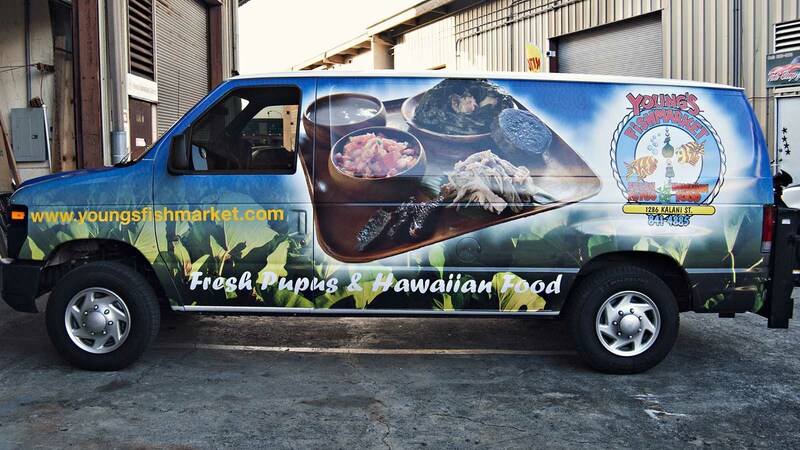 From initial concept to final production and installation, we’re with you at every step.